These styles are well suited for Multi-Industrial applications that require high dexterity and comfort. 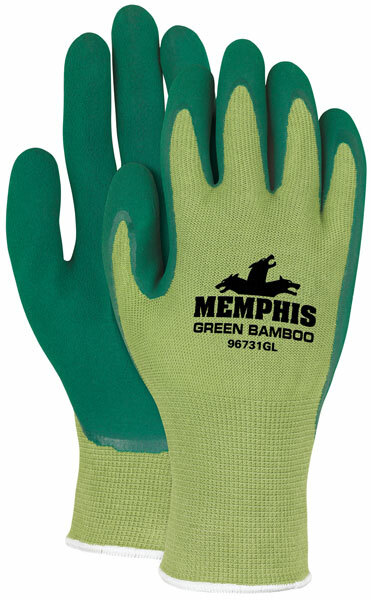 The Memphis Green Bamboo 96731G features a seamless 13 gauge light green Bamboo/Cotton shell and dark green foam latex dipped palm and fingers. This material is breathable and cool as Bamboo fabric is 2-3 degrees cooler than cotton or other synthetic fabrics.